A finatue consultant in Barcelona, Spain. She was prviously a professor of finance at the Instituto de Estudios Superiores de la Empresa (IESE) at the Universidad de Navarra in Barcelona; and a postdoctoral fellow and research associate at Harvard Business School. Dr. González holds a doctorate in business administration from the IESE and a degree in economics from the Catholic University in Lisbon, Portugal. She is the author of two books on the financial industry. currently a professor ofjnance at the IESE of the University of Navarra in Barcelona. He has been a visiting professor at institutions in Portugal, Mexico, Argentina, and Colombia, as well as a financial consultant. 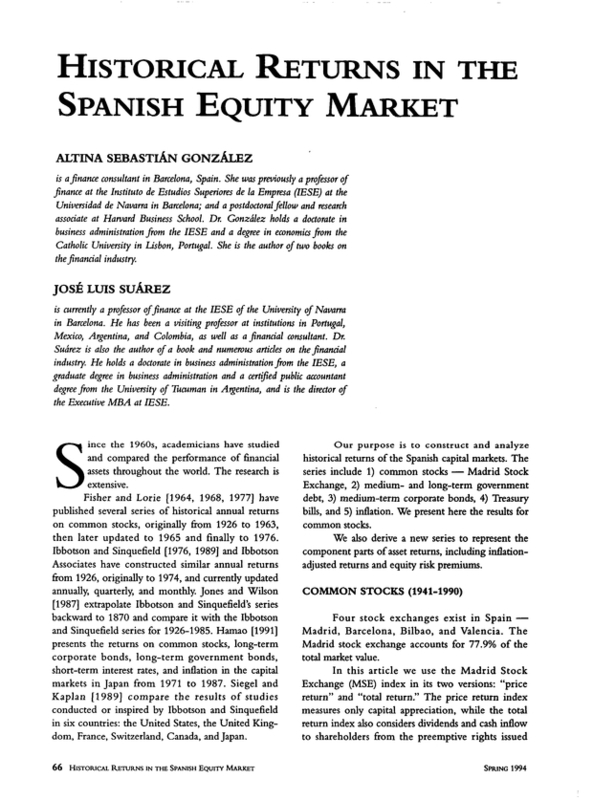 Dr. Suárez is also the author of a book and numemus articles on the financial industry. He holds a doctorate in business administration from the IESE, a graduate degree in business administration and a certified public accountant degree from the University of Tucuman in Argentina, and is the director of the Executive MBA at IESE.